What are our Requirements for Babysitters? Our Babysitters have their own reliable child safe vehicle and a valid South African driving license. Our Babysitters must hold a valid first aid certificate or apply to do one with Sitters4U on application with us. Our Babysitters have a friendly, outgoing and caring personality. They are relatively active and enjoy being outdoors. Our Babysitters are able to take the initiative in situations, from creating fun things to do, to handling an emergency situation. Most of our Babysitters are also Au pairs or teachers by day! 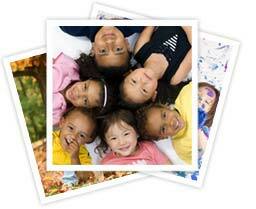 Service, bundle and registration fees are paid to Sitters4U. Babysitting fees are paid in cash to the sitter directly on the day of performance. Cancellations will still be deducted from your bundle. You must always contact Sitters4u before contacting any sitter. This is advisable as should your regular sitter not be available we are able to make temporary arrangements for another sitter as quickly as possible. Bookings may be made by logging onto our website, signing in using your email address you will automatically be taken to the make a booking page. Will I be able to get the same sitter every time? Although we try to ensure that you always receive the same sitter this is not always possible and are subject to availability.